This is the modern version of the ancient and yet always contemporary idea of a great occidental empire. Recently I did some experimenting on the website mapchart.net (κῦδος to the Catholic Underground for sharing this site). The idea was to create the borders and subdivisions of a restored Holy Roman Empire in the present day. The borders are far from perfect, particularly in the region of Lorraine-Burgundy (interesting side note: the Duchy of Lorraine if recovered would be ruled by the Hohenberg family, the descendants of Archduke Franz Ferdinand, as per different laws of morganatic succession. Thanks to The Imperial Traditionalist for the information on that). 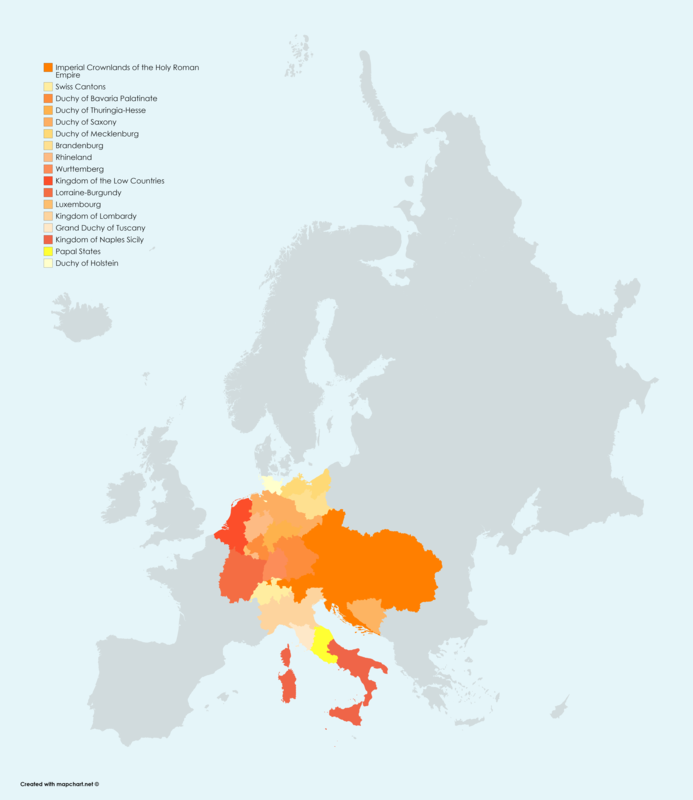 Also controversial may be the inclusion of the Kingdoms of Hungary, Croatia, and Naples (Bourbon Two-Sicilies) as under the direct jurisdiction of the Empire. However I believe that these countries would be best united to the other countries of the “heart of the Empire” and that historically this would have eventually been the case. Well there you are, just a(n) (random) exploration in cartography, nothing official as far as the Restoration Movement is concerned. 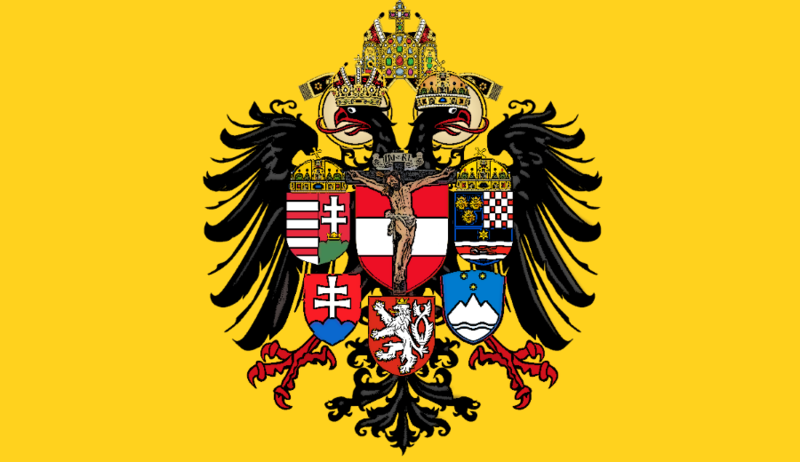 I do have plans to post an official Map of the Holy Roman Empire, as well as the Restorationist plans for Europe and the rest of Christendom. For now though, please let me know about all the numerous errors involved in the above map. It may be useful if I haven’t already caught them. I like this. I would like to add that I’m only sure about the allowance of Morganatic Marriages in the Duchies of Lorraine and Bar. I do not know of the law in regards to Burgundy. I do have a few questions though. What’s up in Swabia? Why no Habsburg Luxembourg? Where did Hanover go? Why? Salic law ended the personal union when Queen Victoria took the throne of Britain. And what’s up with Silesia?